Stipe Miocic is one of the most revered fighters in the Ultimate Fighting Championship (UFC) and is regarded in some quarters as the best heavyweight fighter to ever grace the UFC. This opinion is backed by the fact that he holds the record of the most consecutive title defenses in the history of the UFC. 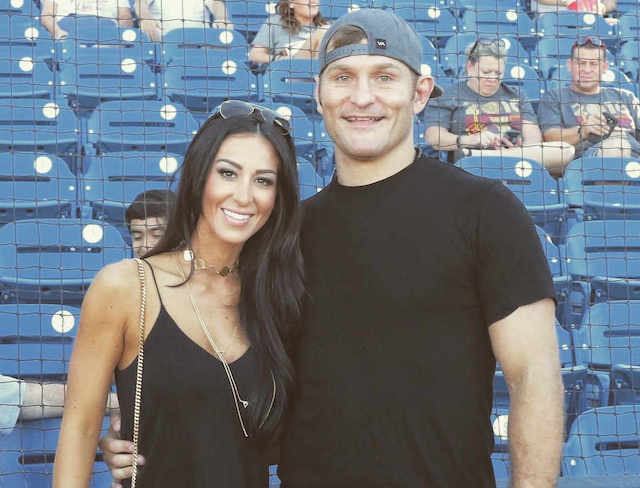 As things have gone well for Stipe inside the octagon, it also seems to have done the same outside, with the stunning beauty he calls his wife. We discuss who Stipe Miocic is, his earnings, his quite famed fighting, his beautiful wife amongst other facts. The story of Stipe is that of the son of a migrant who has gone on to make it in the land of the free. Stipe Miocic was born to his parents, Kathy and Bojan Miocic. His parents were both immigrants from Croatia – his mother from Cetingrad and his father from Rtina. He was born on the 19th of August 1982 in Euclid, Ohio. While attending Eastlake North High School, Miocic played a host of different sports including baseball, football and also wrestling. By the time college swung around, Miocic was attending Cleveland State University and majored in Marketing and Communications. He would later transfer to the Trevecca Nazarene University where he graduated with a degree in communication studies. During his time in both colleges though, he was the target of several Major League Baseball teams. He hit .344 with seven home runs in his senior while he helped his team, the Trojans win the 2005 TranSouth Atlantic Conference. He graduated from Trevecca Nazarene University. It would have been fair to assume that Stipe was heading into the world of sports at some time in his life given that in his formative days, he was given to playing different types. While training both in wrestling and baseball, Miocic was involved as a training partner for Dan Bobish in Strong Style MMA Training Centre, Independence, Ohio. He was initiated into mixed martial arts but made the switch to boxing where he was seen beating up boxers with much more experience than him given he had only been training for several months. In boxing, Miocic became Cleveland Golden Gloves boxing champion and NCAA Division I wrestler at Cleveland State and then he returned to the MMA which saw him winning his first six bouts, all by knockout. The fighting record of Stipe Miocic makes for some interesting reading as he is truly a force to be reckoned with in the UFC. In his professional fighting career, Miocic has been in a total of 21 fights, winning 18 of those bouts and losing 3. Of his 18 wins, 13 of them were via knockout, 4 by unanimous decision and 1 via submission. Of his 3 defeats, 2 came via knockout and 1 by unanimous decision. On June 14, 2011, a multi-fight deal between Miocic and the UFC was announced. His debut for the UFC came against Joey Beltran on October 8, 2011. Miocic won the fight via unanimous decision. From then on, Miocic was on a run of fights that mostly included wins on his way to being able to challenge for the UFC Heavyweight Championship. He took on the champion at the time, Fabricio Werdum at UFC 198 on May 14, 2016. He defeated Werdum to clinch the title inflicting Werdum’s first defeat since June 2011 in the process. Miocic went on to defend the title in three consecutive title defenses against Alistair Overeem at UFC 203, then against Junior Dos Santos at UFC 211 and then against Francis Ngannou at UFC 220. During the build-up to this bout, Miocic openly felt disrespected because he never received the amount of promotion and support that Ngannou did from the UFC. Stipe Miocic did, however, win all three fights and established in the process, the longest title reign in UFC history. That reign did come to an end when he lost to UFC Light Heavyweight Champion Daniel Cormier at UFC 226 on July 7, 2018. With all of these fights and the various perks that come with them, Miocic has been able to amass a net worth of around $15 million. As things were obviously going well within the octagon, Miocic spiced it all up by getting married to Ryan Marie Carney on June 18, 2016. The pair were wed in Kirtland, Ohio at the Divine Word Catholic Church. In January of 2018, Miocic announced that they were expecting a baby. On July 24, 2018, Meelah Claire, their daughter was born. 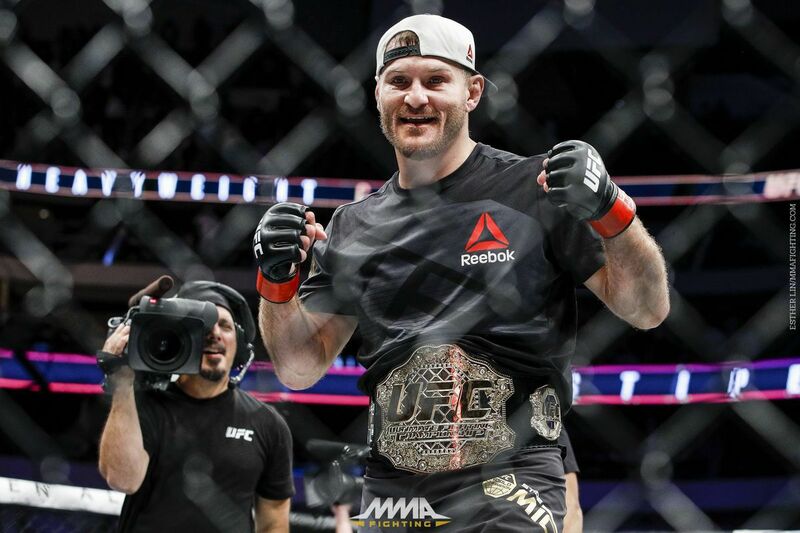 · Interestingly, besides his profession as a martial artist, Miocic works as a part-time firefighter paramedic in Oakwood and Valley View, Ohio. · He was the one who broke the 52-year Cleveland championship curse before Lebron and the Cavaliers followed suit. · Legendary martial artist Mirko Cro Cop Filipovic is his hero. · When he arrived at the UFC, he did so undefeated.